Looking for Traditional Finnish (hot rock) Saunas? - Please click here. SaunaKing FAR Infrared Saunas, well priced while maintaining the quality. Made with western red cedar, these units come complete and ready for assembly. Easy to assemble within a few hours; but if you dont have the time Gold Coast Saunas can fully install your new sauna in most areas. BLUETOOTH & USB Radio/Player included - listen to your favourite playlist while enjoying your sauna. Burn Calories and Control Weight. Verandah lighting and mood lighting available on most models. 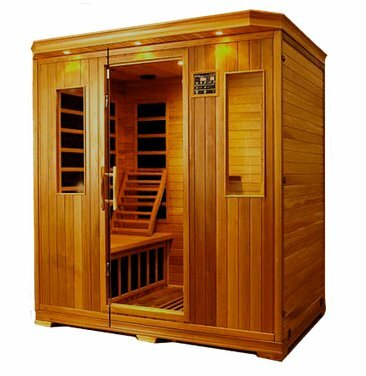 This popular sauna has all the features of the largest top of the line models at a modest price. Check out the dimensions! 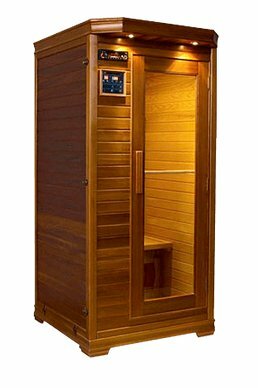 Compact single person sauna for tight areas and small budgets, If you just want to get the job done then this sauna is for you. To seat 4 persons easily or 2 persons with room to stretch out with your feet up. This Sauna is made for the room with a view.